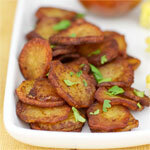 Allow the cooked potatoes to cool in the refrigerator a couple hours before making this recipe. It's also important to use a large well-seasoned iron skillet. Depending on your preference, either slice the cooled potatoes into 1/8 inch wedges or dice the potatoes into 1/4 inch chunks. Some people like to leave the skin on. Personally, I like to remove the skin before slicing. Mince the garlic. Dice the onion and the pepper. In your skillet over medium high heat, add enough canola oil to coat the pan 1/4 inch deep. Carefully, add potatoes, garlic, onions and peppers to the hot oil. Season to suit your taste. Check the home fries after 3 minutes. Once the bottom is golden brown, turn the home fries over to cook other side. 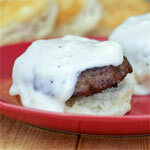 Serve warm as part of a hearty breakfast. In a hurry? Chop the raw potatoes. Coat with olive oil. Microwave on high for 5 minutes. Freeze for 15 minutes. But be careful... frozen water on the potatoes means more splatter in the frying pan. Every breakfast is better with some potatoes on this side. And every potato is better some peppers, onions and garlic. 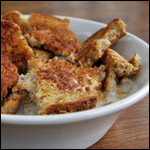 Mr Breakfast would like to thank toygirl for this recipe. 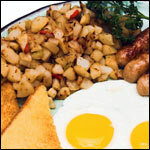 What do you think of Home Fries? I made as directed except I used only 2 cloves garlic (was plenty). It turned out great and I would make this again. 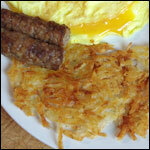 You can also make this a pretty good breakfast scramble by adding some scrambled eggs and cooked breakfast sausage... I used a green pepper, vidalia onion, and vegetable oil instead as well and it turned out great. i saute' diced green bell n' sweet vidalia in butter...on low heat... to speed the process... i have already partially boiled the potato chunks (square taters cook better)... then add them with more butter...then cover for 10 minutes... on medium heat will check once to stir..so nothing burns... set on paper towels... n' cover with P towel... do not pat dry. This recipe is totally BANANAS!!! Simple and delicious, just the way it should be. I like a little heat, so I added a skosh of cayanne. First off, canola oil is unfit for human consumption. Second - no skins? What a wuss. It's better than ordering out. It was awesome. 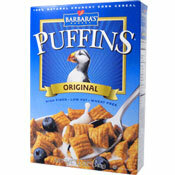 I love it... so good it make my tastebuds go carzy! These are not "home fries". These are lyonaise potatoes. Home fries have just salt and pepper. I liked the way it tuned out. I amended this recipe slightly (omitted the garlic & used a green pepper) and it was delicious. I used the quick tip too which was useful.